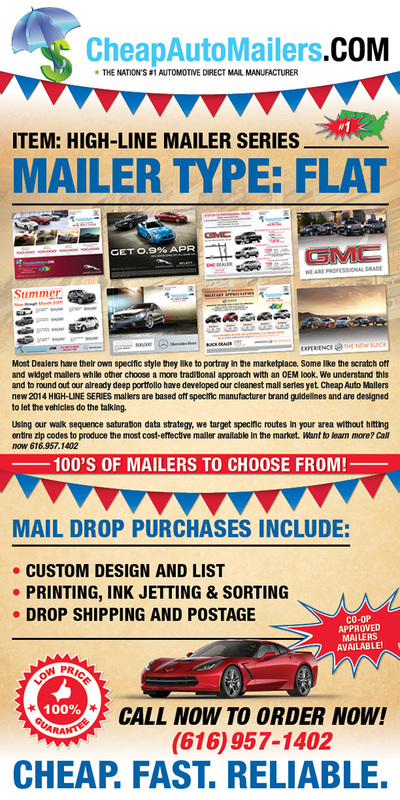 Our High Line mailers have been developed specifically to cater to dealers who like a clean look to their mailers. No Scratch off or prizeboard with more of an OEM feel to it. These mailers can be Coop Approved. Click the button below to add the RAM High Line Automotive Mailer to your wish list.